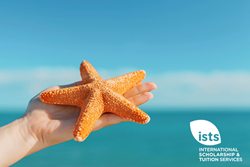 Each year, International Scholarship and Tuition Services, Inc. (ISTS) gives to non-profit organizations through their corporate giving initiative, the Starfish Campaign. New for 2017, ISTS is incorporating a social media campaign (#HelpThatOne) to drive public awareness of and drum up additional financial support for the chosen organizations. Inspired by the popular story of a young boy and his attempt to save hundreds of starfish stranded on a beach, ISTS President and CEO Becky Sharpe founded The Starfish Campaign in 2010. Each year, ISTS team members come together to nominate and select charitable organizations to receive a donation from the company. This annual corporate giving initiative encourages ISTS employees to “Help Others” both professionally and personally. Fannie Battle Day Home – Fannie Battle Day Home’s story began in 1891 when Miss Fannie Battle saw a need in the community. Children were left alone to roam the streets while their parents went to work. She rented a room in East Nashville and began caring for these children by clothing, feeding, educating, and even getting much-needed medical attention to them. Nashville Public Education Foundation (NPEF) – NPEF believes every child in Nashville should have access to a great public education that prepares them fully for college, work and life. To accomplish their mission, NPEF raises and manages funds, makes strategic investments and brings the community together behind efforts to accelerate progress. Appointed Special Advocates (CASA) received donations in 2016. Find out how you can #HelpThatOne and show your support at https://www.gofundme.com/ists-2017-starfish-campaign. Founded in 1985, International Scholarship and Tuition Services, Inc. provides comprehensive scholarship, grant, tuition assistance and tuition reimbursement program management. ISTS is a 100% women-owned company, focused on offering cutting-edge technology and sustainable solutions to corporations, foundations, associations, unions and other scholarship-granting organizations worldwide. For more information about ISTS, visit http://www.applyISTS.com.